not yet, this time I am having the ruggedized upgrade done. as that was all I needed to make the TEC's a little stronger. as these TEC's start to fail, I will replace them will the metalized ones. the TEC's I have now are $68 each with the ruggedized upgrade and thicker wire there $98 each. so the next time I need to replace the TEC's I will get the thicker wire upgrade, add $10, the ruggedized upgrade, add $20, and the metalized upgrade, add $100. I don't have the cash to be getting $200 TEC's right now, I just want to finish this build. 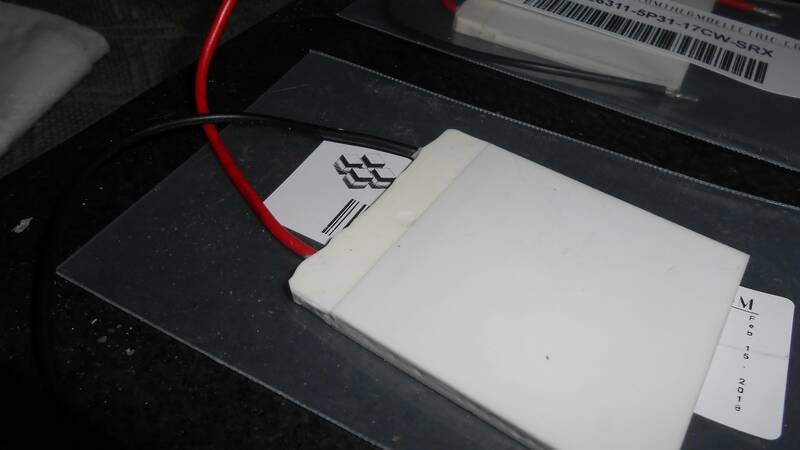 well yes the metalized plates should provide better heat and cold transfer to the blocks. as I am building it with standard ceramic plates this time, when I upgrade later. we will be able to see just how much better the TEC's work with the metalized plates on them. 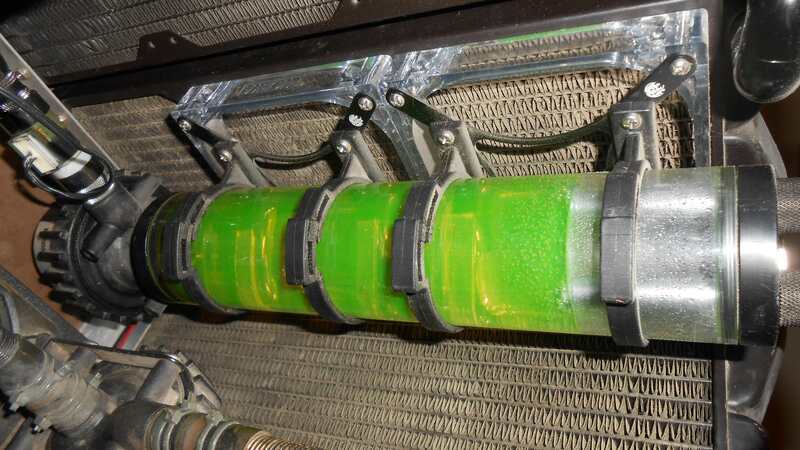 ok so because I parallel my water loops, I use two aqua pipes in my reservoirs. 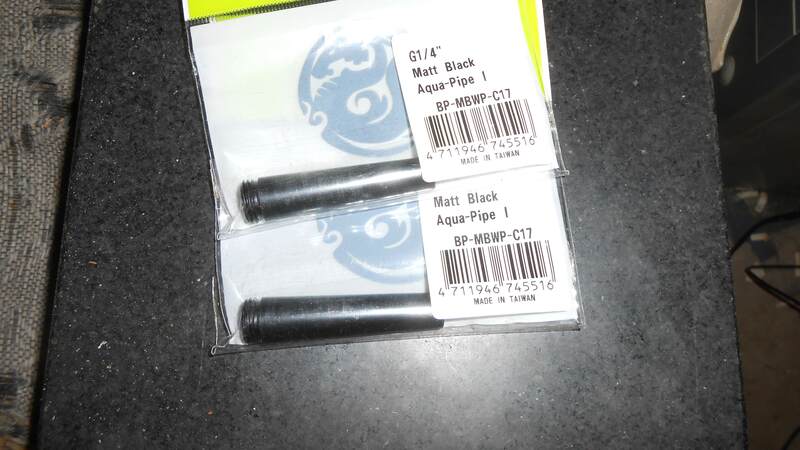 I ran out of aqua pipes for this build so I needed to get two more. these will be for the second hot loop reservoir. Last edited by toolmaker03; 02-15-2018 at 01:58 AM. well I got 3 of the 6 new radiators. still waiting for the new TEC's to get here. Subbed. Looking forward to the conclusion of this epic project. What brand and model are the new rad? They look like 120x3's but I can't tell the thickness from the photos. 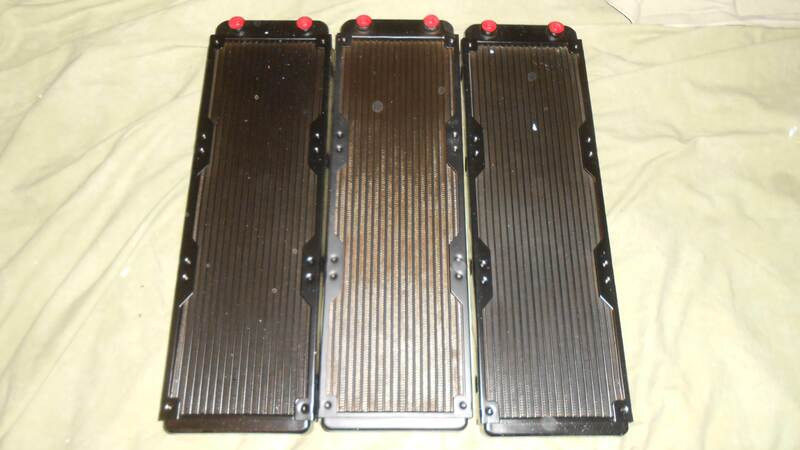 yes they are 360mm radiators, they are 32mm thick, and aluminum. so, I have never tried a aluminum radiator before, because I need so many anyway I decided to give them a try. even if they don't work well, I can always dissipate them at two radiators on each hot loop, later when I get 8 more radiators to complete the upgrades to this build. of course if these work well, I will get more at this price, why not? ok, I got the new TEC's in today, and I do really like the SRX upgrade. 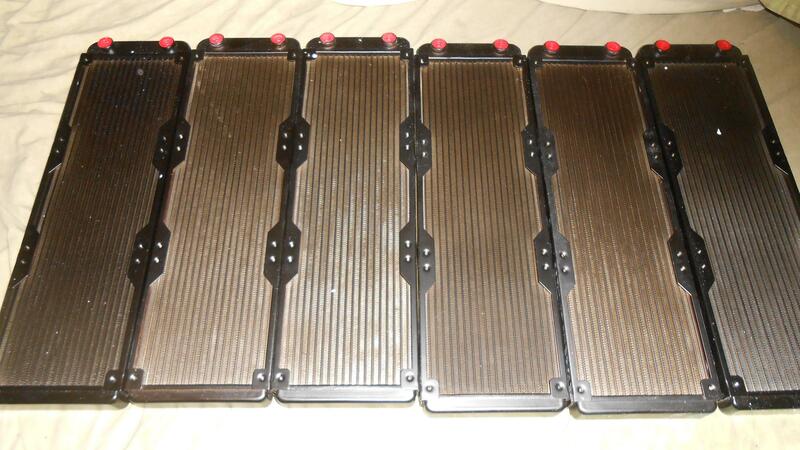 now I have all 6 radiators I am ready to build the stands and pipe the second hot loop. ok, so the stuff I need to get at this point is. 4-90 3-way male to male fittings, 1 5-way U, 4 male to male rotary, 2 1/4 turn valves, 1 T fitting, 12 120mm fans, 2 fan shrouds, 2 120mm bitspower reservoir holders. I think that this is all I need at this point. Last edited by toolmaker03; 02-24-2018 at 04:20 AM. Not to mention that it is way too pricey. I have a nice water cooled rig. I also have a testing build, that I am using currently to test all of my hardware for this extreme TEC cooling build. I am not building this for some great clock rate, or some high benchmark. I am building this because I want to. I am also wanting to clock my hardware a little higher while still keeping my load temps in the 50C range. I don't care about the power usage, or how ulgy it looks, I am only concerned with how well it functions. when I started this project 2 years ago I knew that it would be expensive, and I was prepared for that. it has run me more that I thought it would, but I am happy with that. as for how it looks, my brain just dose not work in that way, and the power consumption is bad, but I knew that going in as well to. so it is, what it is, a ugly, power hungry, monster. Last edited by toolmaker03; 02-27-2018 at 12:37 PM. Just had a look at your water cool project topic and it seems all your "learning" processes are long and most of all quite expensive I have to say. well sort of, it amounts to about $200 a month that I have to play with, and most months I can spend that on my hobby of water cooling. now lets say that I want to buy a new video card, I would have to put everything on hold for 5 or 6 months so that I could save up for that. ok so, I have ordered all the fittings I need to finish the radiators for the 224 watt TEC's should have all of them in a couple of weeks. I still need 12 120mm fans to finish the radiators, and give them 3 fans each. I will get them next month. well lucky me, I got a bonus this month so a got all 12 fans now. I am starting on the radiator build now, so I hope it all goes well. Last edited by toolmaker03; 03-11-2018 at 07:20 AM.